Women are routinely subjected to penetrating surveillance during pregnancy. On the surface, this may appear to flow from a cultural commitment to protect babies – a cultural practice of “better safe than sorry” that is particularly vigilant given the vulnerability of fetuses and babies. In reality, pregnancy occasions incursions against human rights and well-being that would be anathema in other contexts. Our cultural practices concerning risk in pregnancy are infused with oppressive norms about women’s responsibility for pregnancy outcomes and the demands of extreme self-sacrifice from women to protect their fetuses. Of particular concern is our culture’s willingness to enforce norms concerning risk during pregnancy using coercive measures including forced cesarean sections and criminal penalties for exposing fetuses to risk. 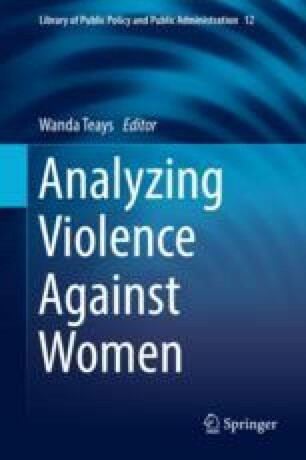 This chapter will consider assaults on self-determination, bodily integrity and privacy inherent in such interventions, as well as the structural violence and “mangled pieties” (Wallace DF. Authority and American usage. In: Consider the lobster and other essays. Little, Brown and Company, New York, 2006, 114) that buttress such practices in our unjust society. This chapter is dedicated to Nancy Rhoden and Lynn Paltrow, pioneers in reproductive rights and justice. We stand on their shoulders, and those of all pregnant women whose basic human rights have been abridged. American Civil Liberties Union (ACLU). 2018. Coercive and punitive governmental responses to women’s conduct during pregnancy. Accessed 29 May 2018. https://www.aclu.org/other/coercive-and-punitive-governmental-responses-womens-conduct-during-pregnancy. Amnesty International. 2017. Criminalizing pregnancy: Policing pregnant women who use drugs in the USA, Report. Accessed 28 May 2018. https://www.amnesty.org/download/Documents/AMR5162032017ENGLISH.pdf. Bishop, Darla, Liz Borkowski, Megan Couillard, Amy Allina, Susannah Baruch, and Susan Wood. 2017. Pregnant women and substance use: Overview of research & policy in the United States. In Bridging the divide: A project of the Jacobs Institute of Women’s Health, February 2017. https://publichealth.gwu.edu/sites/default/files/downloads/JIWH/Pregnant_Women_and_Substance_Use_updated.pdf. Accessed 1 June 2018. Bondurant, Samuel R., Jason M. Lindo, and Isaac D. Swensen. 2018. Access to substance abuse treatment, drug overdose deaths, and crime. EconoFact March 16, 2018. http://econofact.org/access-to-substance-abuse-treatment-drug-overdose-deaths-and-crime. Accessed 1 June 2018. Chambers, Christina D., Janine E. Polifka, and Jan M. Friedman. 2008. Drug safety in pregnant women and their babies: Ignorance not bliss. Clinical Pharmacology & Therapeutics 83 (1): 181–183. https://doi.org/10.1038/sj.clpt.6100448. Foster, Jason. 2009. Woman faces charge of killing unborn child after suicide attempt. The Herald. http://www.heraldonline/news/local/article12250463.html. (February 21). Accessed 2 June 2018. Gorman, Anna. 2014. Barriers remain despite health law’s push to expand access to substance abuse treatment. Kaiser Health News April 10, 2014. https://khn.org/news/substance-abuse-treatment-access-health-law/ Accessed 1 June 2018. Guttmacher Institute. 2018. Substance use during pregnancy. Accessed at https://www.guttmacher.org/state-policy/explore/substance-use-during-pregnancy on 31 May 2018. Hostetter, Martha, and Sarah Klein. 2017. In focus: Expanding access to addiction treatment through primary care. The Commonwealth Fund transforming care: Reporting on health system improvement, September 28, 2017. http://www.commonwealthfund.org/publications/newsletters/transforming-care/2017/september/in-focus. Accessed 1 June 2018. Martin, Nina. 2015. Take a valium, lose your kid, go to Jail. ProPublica. Accessed 29 May 2018. https://www.propublica.org/article/when-the-womb-is-a-crime-scene. Mental Health America. 2017. 2017 state of mental health in America – Access to care data. Accessed at http://www.mentalhealthamerica.net/issues/2017-state-mental-health-america-access-care-data on 31 May 2018. Neergaard, Lauran. 2014. Guidelines to reduce C-section rates urge waiting. Associated Press (AP). https://www.yahoo.com/news/guidelines-reduce-c-section-births-urge-waiting-221058281.html. Accessed 28 May 2018. Paltrow, Lynn M., JD, and Lisa K. Sangoi. 2016. The dangerous state laws that are punishing pregnant people. ThinkProgress, September 28, 2016. https://thinkprogress.org/criminalization-pregnancy-us-43e4741bb514/. Accessed 29 May 2018. Planned Parenthood. 2018. Federal and state bans and restrictions on abortion. https://www.plannedparenthoodaction.org/issues/abortion/federal-and-state-bans-and-restrictions-abortion. Accessed 1 June 2018. Rovner, Julie. 2018. What does Trump’s proposal to cut planned parenthood funds mean? NPR News May 18, 2018. https://www.npr.org/sections/health-shots/2018/05/18/612445385/what-does-trumps-proposal-to-cut-planned-parenthood-funds-mean. Accessed 1 June 2018. Stone, Rebecca. 2015. Pregnant women and substance use: Fear, stigma, and barriers to care. Health & Justice 3 (1). https://doi.org/10.1186/s40352-015-0015-5. Unchained at Last. 2017. Arranged/forced marriage. http://www.unchainedatlast.org/about-arranged-forced-marriage/. Accessed 1 June 2018. Villa, Manuel. 2017. The mental health crisis facing women in prison. The Marshall Project, June 22, 2017. https://www.themarshallproject.org/2017/06/22/the-mental-health-crisis-facing-women-in-prison. Accessed 1 June 2018.